ExxonMobil Chemical, one of the largest petrochemical companies in the world, is a part of ExxonMobil Corporation. ExxonMobil Corporation is a direct descendant of John D. Rockefeller’s Standard Oil Company that was established in 1870. 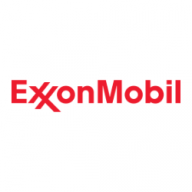 ExxonMobil was formed in 1999 by the merger of the companies Exxon and Mobil. ExxonMobil Chemical produces wide range of petrochemical products. ExxonMobil is one of the largest producers of olefins (ethylene and propylene) and polyolefins (polyethylene and polypropylene).